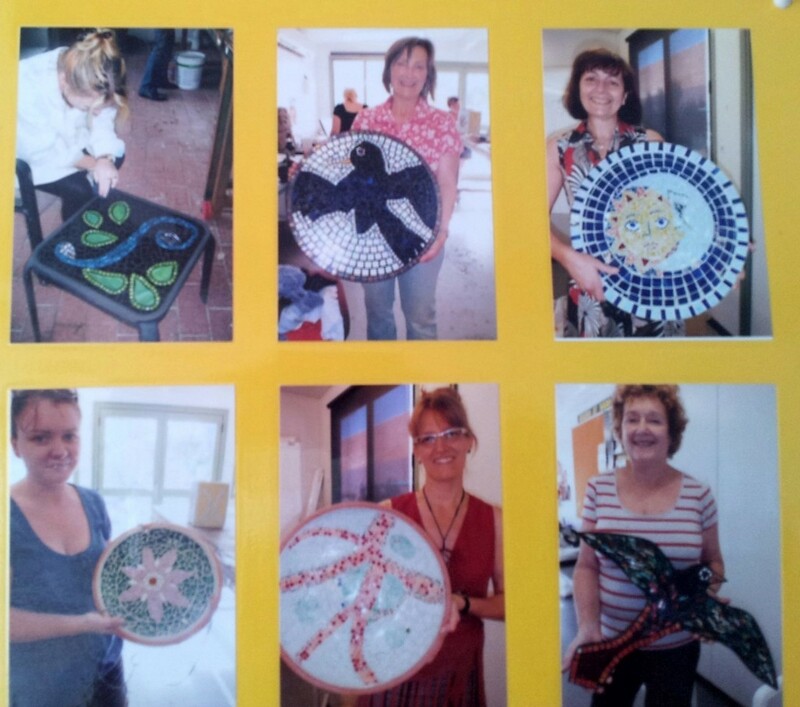 Join mosaic artist and teacher, Sandra Bain to spend a weekend (10 to 5 Saturday and 3 to 5 Sunday) learning mosaic techniques and use your imagination to make a unique artwork. You may wish to bring an item to decorate. If you want you can bring broken crockery, old jewellery, cutlery, shells etc. 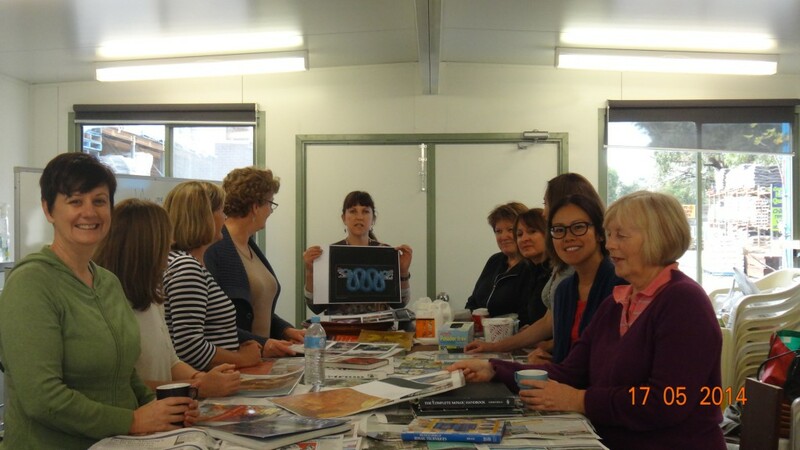 (maybe from an op- shop) to add individuality to your work. Bring along any inspiration or design ideas you may have in mind. 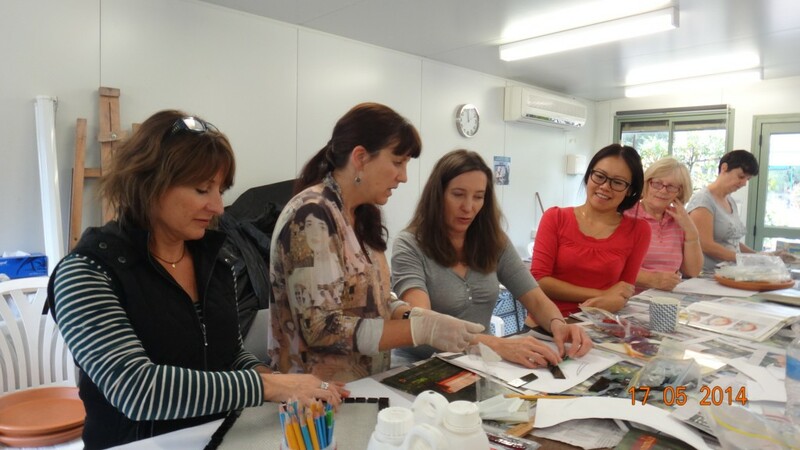 Alternatively, you can be guided by Sandra in the design of your piece and you do not need to bring anything with you. 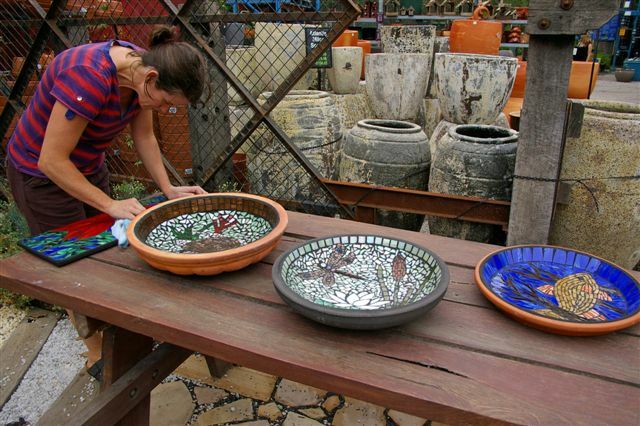 Glass mosaic tiles, terracotta dishes, pots and wall plaques are available for purchase on the day. Cost includes glue and grout and some tools to share. 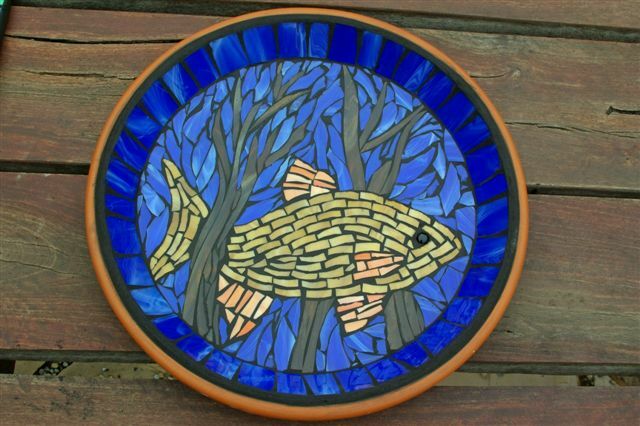 The size of the piece you will be able to work on will depend on how quickly you work and intricacy of design, but we would recommend you start with something no bigger than 30 to 40cm in diameter. 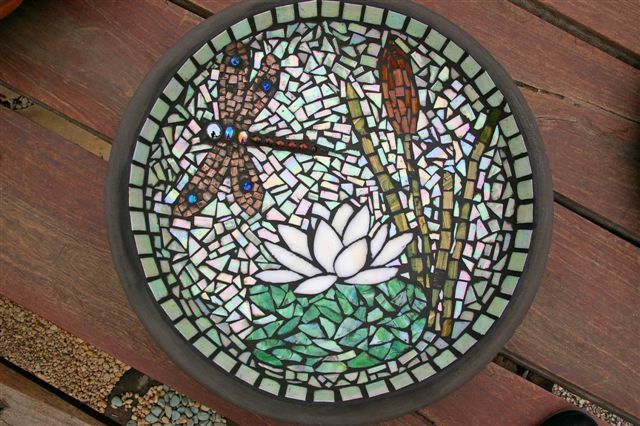 Flat surfaces are easier to mosaic than vertical. 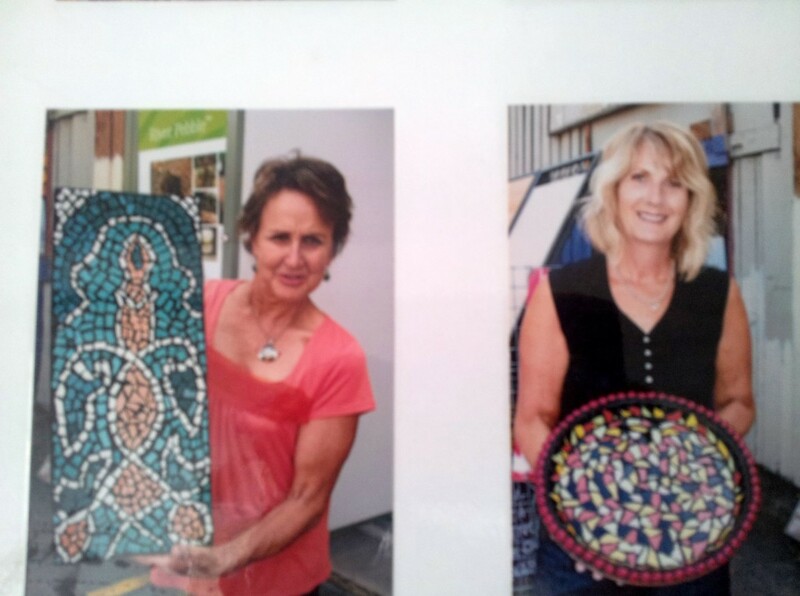 Sandra is an art teacher who creates many of the mosaic artworks to be found in the Bulleen Art & Garden shop area.